Angular2’s FormModule is similar to Angular 1.x’s forms. One major difference is that, imho, Angular 1.x’s integration is more straight-forward. There is a bit of a learning curve involved with Angular2’s implementation. In a typical scenario with a custom form input, ideally, there is an ngModel, we track changes against that model, and are alerted whether or not the values provided through the model are valid. For a dropdown, a ‘required’ attribute makes sense to implement. 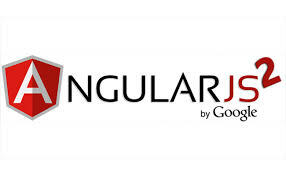 With Angular2, we have to implement a few interfaces to achieve the desired work-flow. That bit of code simply tells Angular that our class, Multiselect, will provide the NG_VALUE_ACCESSOR interface. The “forwardRef” is needed because the component won’t be defined yet in the initialization/flow. Then, we implement the interface in our Multiselect class. The (3) interface methods are self explanatory. I create private “mutators” so that I can have handles to the onChange/onTouched events. This makes it so that if I want to manually trigger a change, I can. This, in my mind, is akin to triggering a $digset cycle in Angular 1.x. The “writeValue” method is the only that is not entirely clear in terms of purpose. In the documentation, this method is intended to write the initial value only. Initially, I thought it was part of the change tracking, but it is not. Finally, we can now look at the mark-up required to integrate with the FormModule. Here I have added [ngClass] attributes displaying styles based on validity, added the required attribute, and added a small message to display when the form element is not valid. The form element is valid whenever anything is selected and invalid when nothing is selected (required). The only thing that was odd about any of this is that you’ll notice the extra attribute called “#itemsFormElement” which is set equal to ngModel. We define this reference so that we get the form validity object and have a handle to it. With a handle to it, then we have a handle to the “valid” and other properties that the FormsModule provides. All in all, it was pretty straight-forward, once I wrapped my head around things, to get custom validation working with the multiselect drop-down. Full plunk below.